The Woodfords community is nestled in the Sierra Nevada mountain range, an exquisite mountain terrain, perfect for hiking, biking, and rafting the Carson River. The Woodsford community is located outside of the Lake Tahoe basin, ideally located on historic Highway 88 at the mouth of the West Fork of the Carson River canyon. This quaint town holds title as the oldest non-native settlement in the entire region. 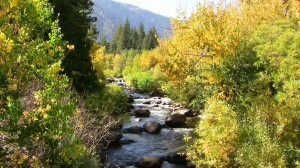 Those living in Woodfords enjoy the Carson River for fishing and endless miles for exploring while only being 25 minutes from Carson City and South Lake Tahoe. While the town is small, approximately 150 residents, it offers all one could need in the form of a general store, bed and breakfast and assortment of stores. It’s the place to get away from it all, offering a majestic view of the Sierras and a within a close proximity to both Kirkwood Ski Resort and the Carson Valley. A wonderful place to enjoy the natural surroundings and to remember a simpler time. Real Estate in the Woodsfords Neighborhood is presented below. Please feel free to contact us today with any questions you have about South lake Tahoe real estate.